Mars Curiosity Rover is at it again. This time it has unearthed (or should it be “unmarsed”) compelling evidence of an ancient lake on the red planet. The latest discovery of Nasa’s Mars Curiosity rover is evidence of an ancient freshwater lake on Mars that was part of an environment that could potentially have supported simple microbial life. The lake is located inside the Gale Crater and is thought to have covered an area that is 31 miles long and three miles wide for more than 100,000 years. When analyzing two rock samples from an area known as Yellowknife Bay, researchers discovered smectite clay minerals, the chemical makeup of which showed that they had formed in water. Due to low salinity and the neutral pH, the water the minerals formed in was neither too acidic nor too alkaline for life to have once existed within it. Chemolithoautotrophs, the form of life the researchers believed may have lived in the lake, can also be found on Earth, usually in caves or in vents on the ocean floor. “If we put microbes from Earth and put them in this lake on Mars, would they survive? Would they survive and thrive? And the answer is yes,” the Washington Post is reporting John Grotzinger, a Caltech planetary geologist who is the chief scientist of the Curiosity rover mission, as saying at a press conference. 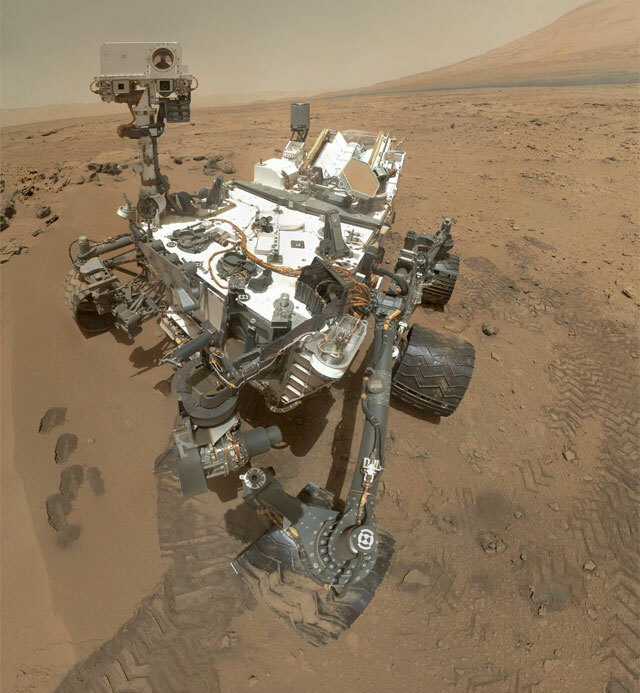 Evidence of water was first discovered in soil samples on Mars in September by Curiosity, which first landed on the Red Planet in August 2012 with the hope of discovering whether it may have once offered a habitable environment. Increasingly, as studies are finding evidence of the planet’s environment interacting at some point with water, researchers are believing that in the past Mars could have been a more Earth-like planet. Curiosity cannot confirm whether or not these organisms definitely did exist on Mars, only that the environment was once ideal for them to flourish there. 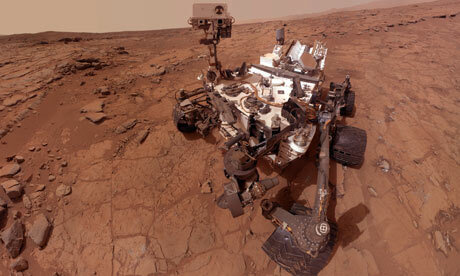 Image: Mars Curiosity Rover. Courtesy of NASA / JPL.